Welcome to ReadyToGear the place for handmade premium quality products. Survival Fashion at its best. 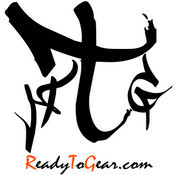 Look for RTG items and you'll know their handmade with high quality materials made in the USA. More details on our site. ReadyToGear doesn't have any items in their booth!